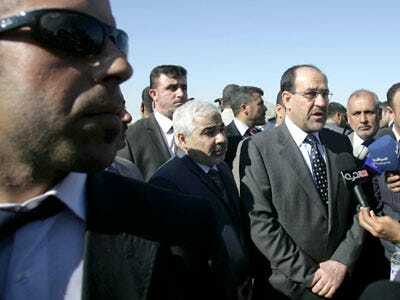 Iraq may have a new leader, as polls show Iyad Allawi edging out Nouri al-Maliki in the recent election. Allawi, a secular Shi’ite, was the provisional prime minister after the U.S. invasion. But peaceful succession is one thing and undisputed is another. Maliki is declaring fraud and wants a recount. Tensions have been raised over allegations of fraud during the vote and the subsequent count, claims made most prominently by Mr Maliki. He has cried foul and demanded a manual recount, warning that one was needed to “protect political stability . . . and prevent a return to violence”. While electoral authorities have rebuffed the incumbent’s request, his party has threatened not to recognise results it sees as tainted, potentially plunging Iraq into a major political crisis. So basically this sparkling democracy in The Middle East that we created is another banana republic that can’t hold a vote. Great use of resources there.